Are your outfits, shoes, and accessories the most prized possessions for you? It’s time to show them off like pieces of artwork. All you need is a fabulous walk in closet and you have all your favorite stuff at one place. 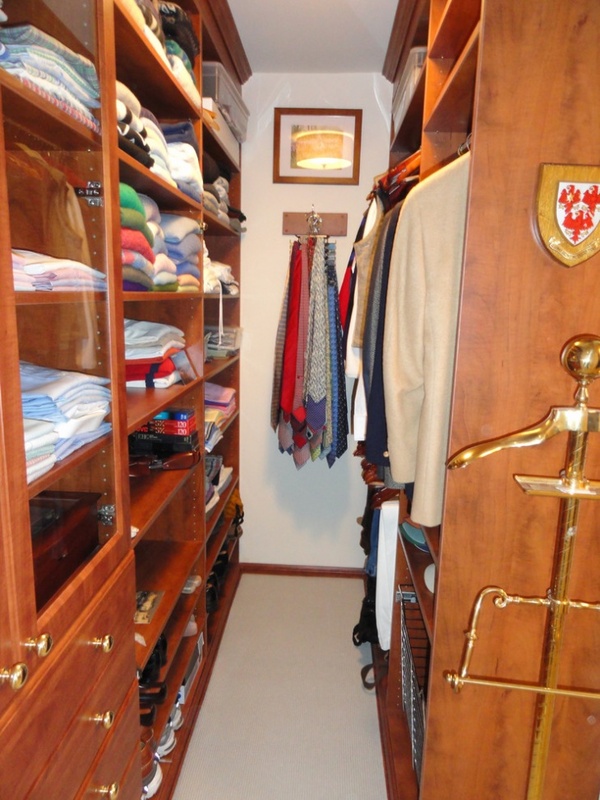 You don’t need to live in a mansion to have one; a walk in closet is now seen as part of most home designs. 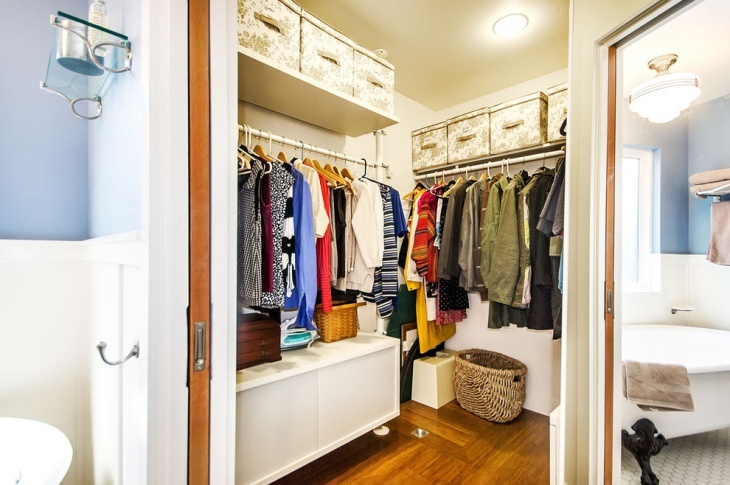 You can create a functional, stylish walk in closet in small spaces as well. 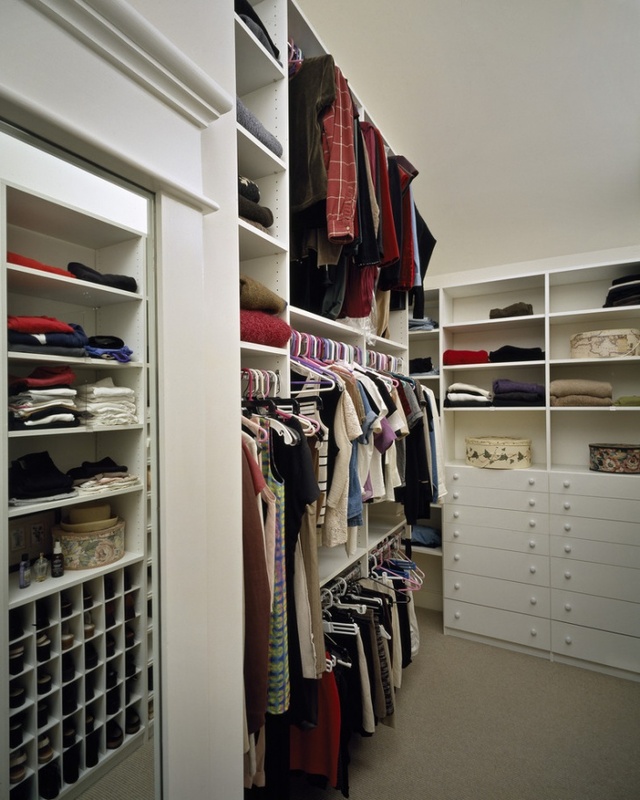 You need to have a closet design and determine how to organize it immaculately. 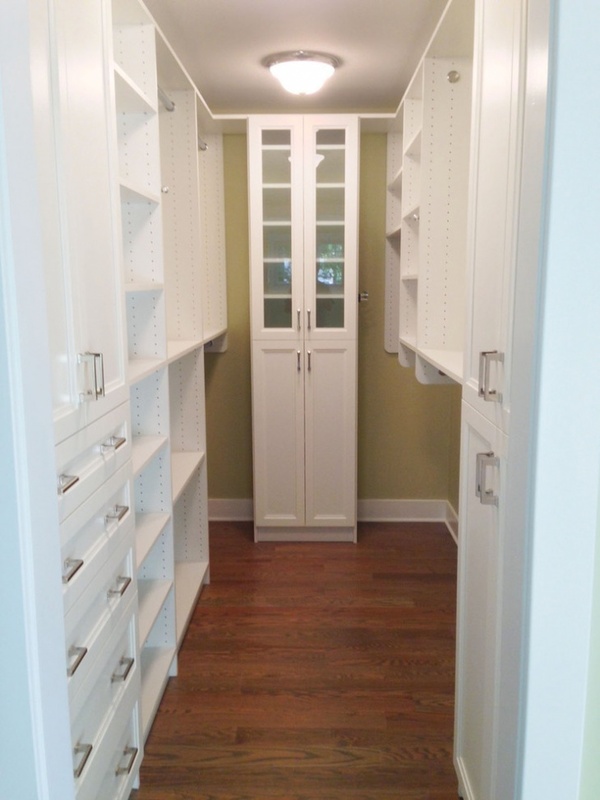 Here are some awe-inspiring small walk-in closet designs. This walk-in closet feels more like a boutique with all your stuff on display. Use of hangers allows you to see all your clothes as soon as you walk in and make your pick easily. This room has good lighting as well. Drawers and cabinets are also designed to store accessories and other artifacts. Create a small walk in closet by assembling some of your gardening equipment and furniture. Add railing to hang your clothes and use storage cubes to store shoes and other accessories. This is a very neat display of clothes in small space. 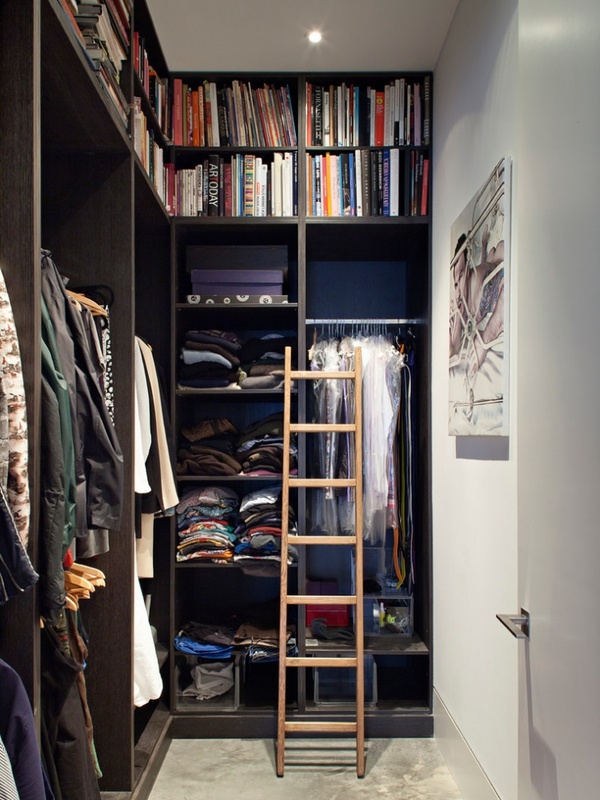 This small walk in closet for a contemporary home looks very organized. Corner shelves are used for storing bags and other items. There are railings on the sides for hanging clothes and the shoe shelves in the center make a splendid display with mirror backing. You can turn your narrow attic space into an impressive walk in closet. This space looks very stylish and cozy in the cognac color. The combination of pull out drawers and shelves creates a perfect balance. You can make use of top most shelves for storing items that are rarely used. 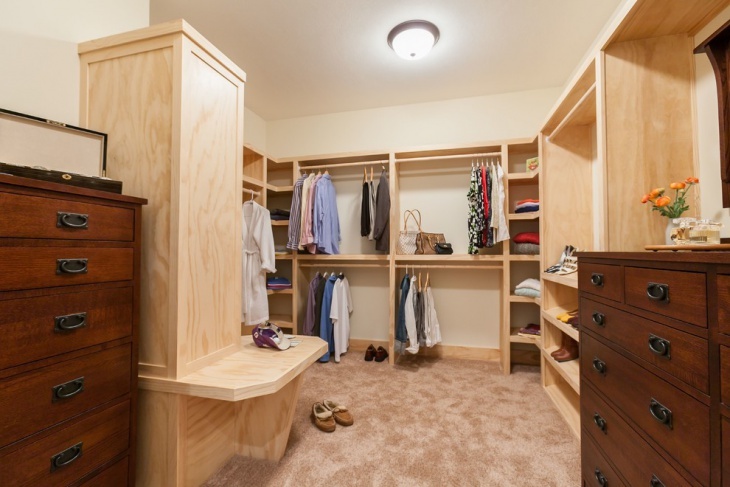 If space is not a constraint for you, then go for a neat little walk-in closet in your master bedroom. This looks pretty simple, yet stylish. The corner space is put to good use for hanging long clothes and storing bags. This is an incredible idea of an open concept bedroom closet design. The divider in the room is used for two-way storage. Both the spaces receive a good amount of sunlight, keeping the room bright and airy. 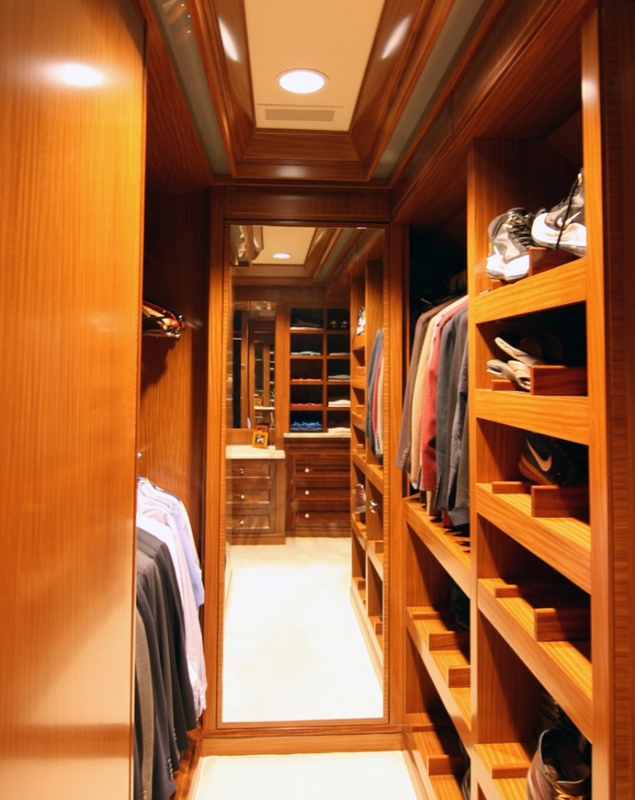 This walk in closet with intricate wood work looks extremely chic. A small chandelier adds beauty as well as brightness to this room. An island is designed in the middle with drawers for ease of access. 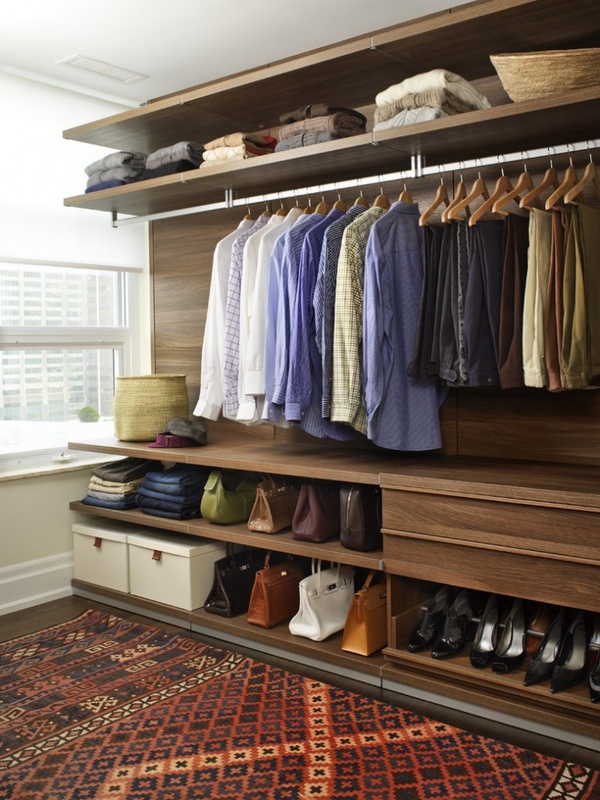 You can turn an entire room into an impeccable, luxurious walk-in closet. This sleek looking space in white features a glossy chandelier and an island with a contrasting bright pink countertop. 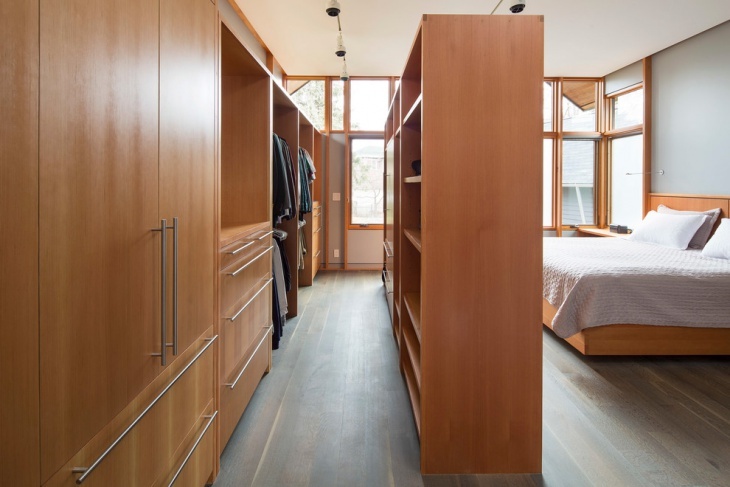 For slanted spaces and low walls, this is a perfect design for a walk in closet. You can customize it according to the shape and size by using hanging rods and drawers. A chandelier and ottoman bring an element of charm to this space. 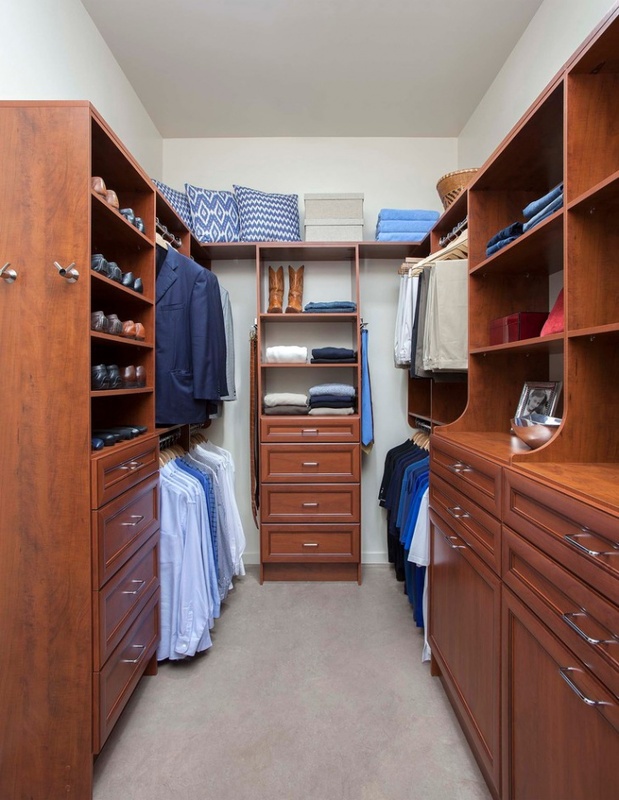 With latest designs and models, you can have the walk-in closet of your dreams. 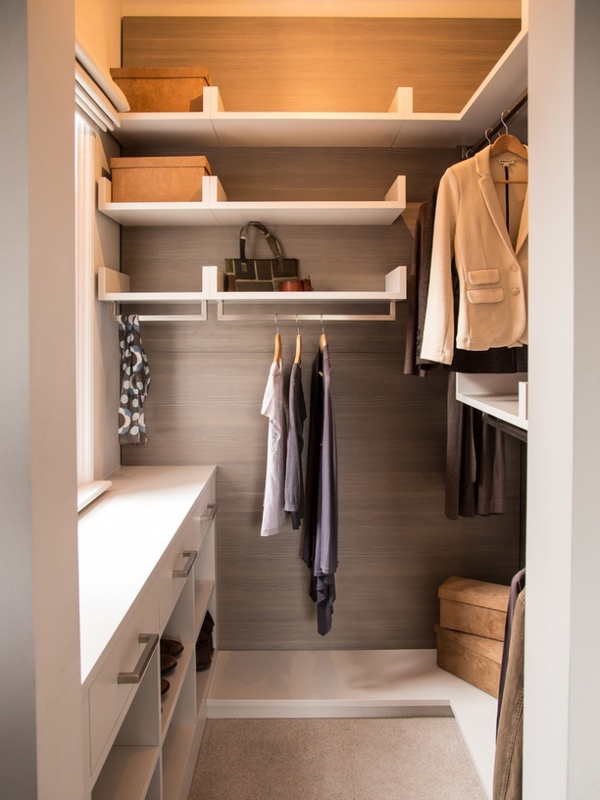 These days many closet accessories are available such as sliding racks, sliding baskets and boot hangers that help make even small spaces neatly organized and functional. You can add other items such as a dresser, stool or an “entryway bench” for more functionality.